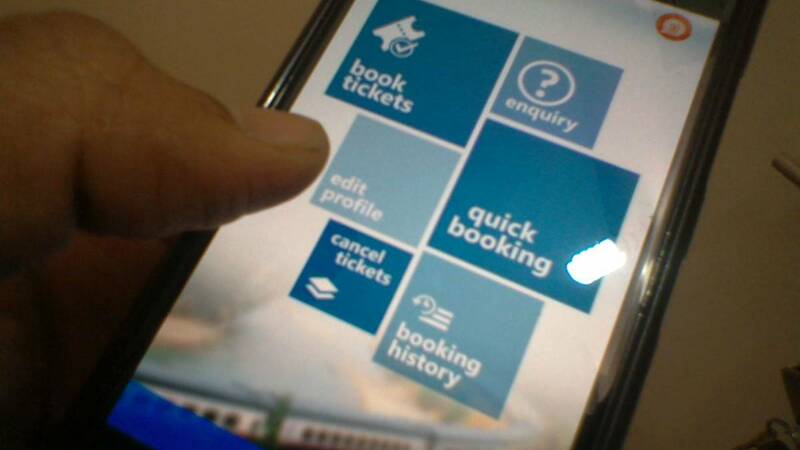 Bengaluru : The Bengaluru division of the South Western Railway (SWR) on Monday unveiled a dedicated mobile application for purchasing unreserved tickets on mobile by commuters and passengers travelling daily or at short notice. "The mobile application eliminates the need for one to visit a counter for unreserved tickets and also helps in moving towards a digitised and cashless economy," Divisional Railway Manager, Bengaluru R.S. Saxena told reporters here. The app named "Unreserved Ticketing System on mobile" (UTS) allows passengers to book an unreserved paperless ticket for a journey between any two stations in the SWR region. The app was launched here after then Railway Minister Suresh Prabhu unveiled it in the national capital in January 2017. The UTS app can also be used to book an unreserved paper ticket and collect it at any of the automatic ticket vending machines in any part of the country. With an offline mode, the app helps in accessing the ticket even when one loses internet connection during the journey. Passengers can pay for their tickets digitally through an R-wallet (Railway wallet), an online wallet by the Indian Railways.